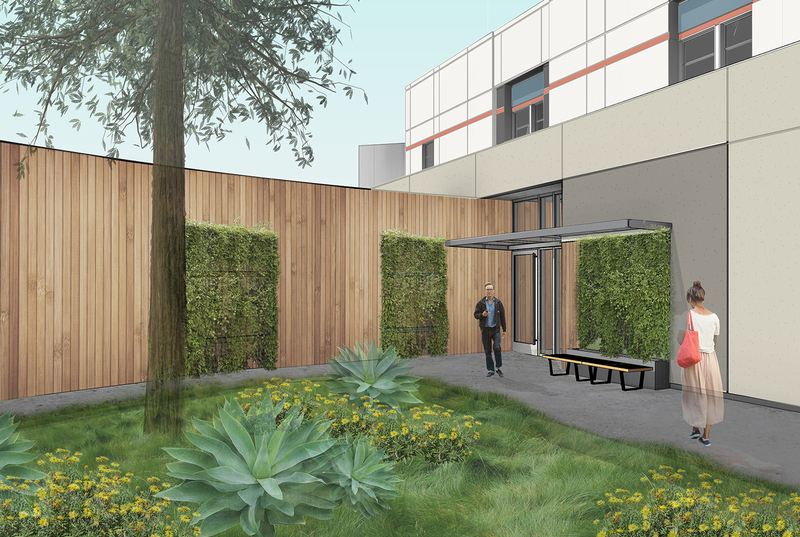 This conversion of an existing med/surge unit at Kaiser Fremont Medical Center into the health care giant's first Acute Medical/Psychiatric Unit involves the partial renovation of an existing hospital wing and a modest building addition. 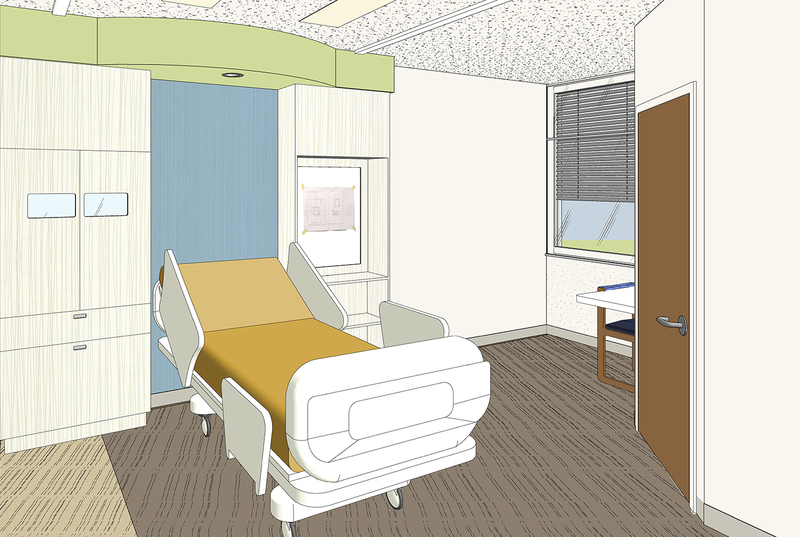 The new facility will provide secure in-patient care for behavioral health patients with greater medical needs than a typcial outpatient unit, meeting strict safety, security and protection requirements in the context of an acute care setting. 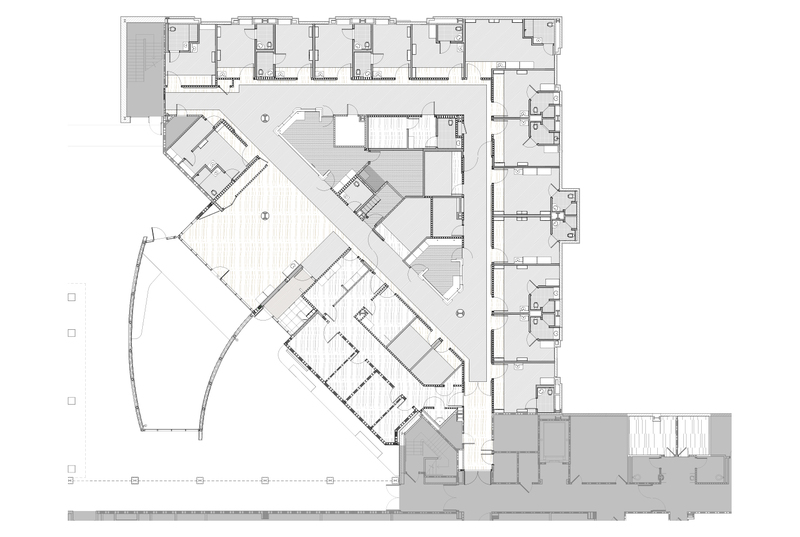 Adjacent to both the Emergency Department and Medical Imaging to minimize travel distance to and from both areas, the unit is located at the furthest point from the main entry to minimize potential disruption to conventional hospital functions. 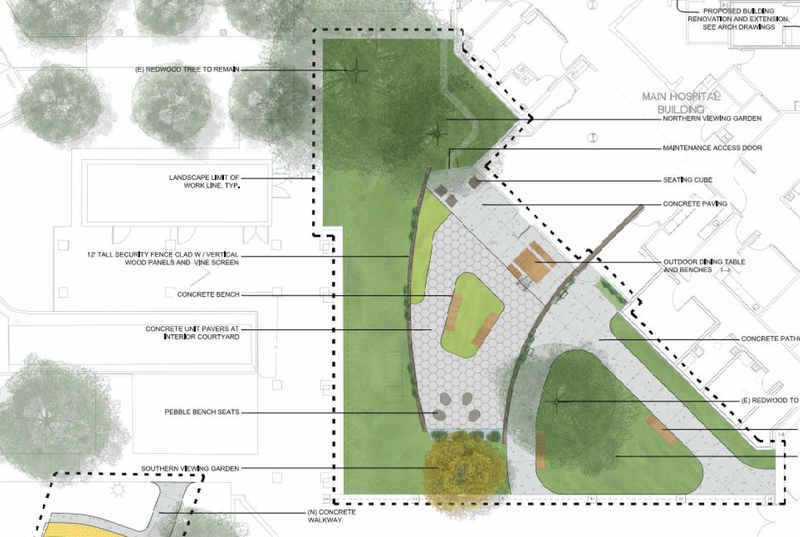 The program includes 18 patient beds and associated staff areas, a meditation room, observation room, exam and consultation rooms, dining, recreation and group activity spaces, and an enclosed outdoor landscaped garden. 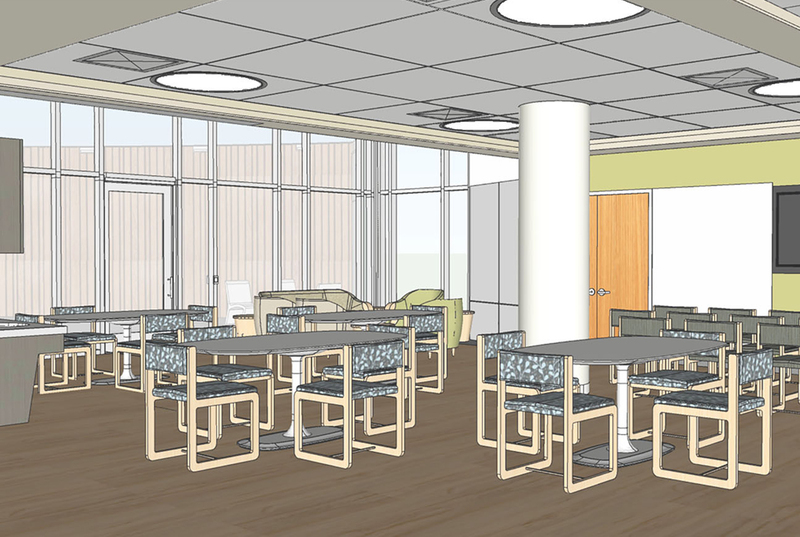 The single story addition provides additional staff support spaces, greater patient gathering spaces, and accomodates a new dedicated public entry to the unit. 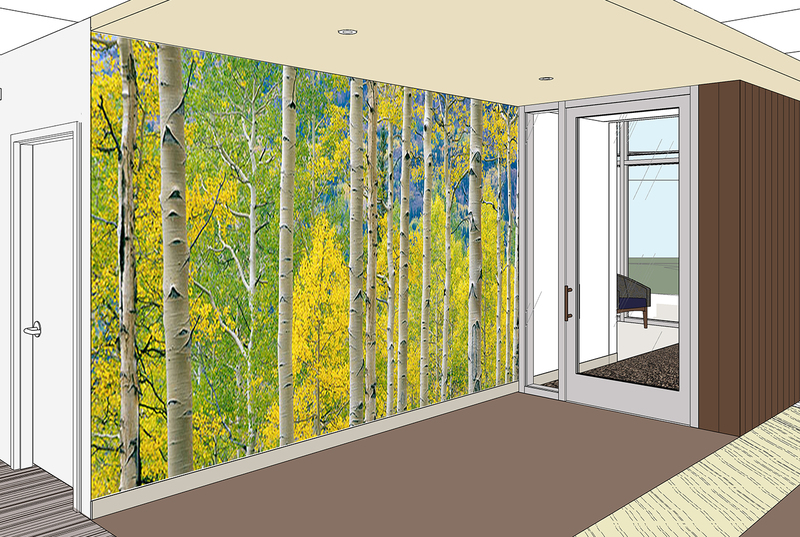 Careful planning and design measures ensure separation of staff service and patient care areas, controlled access points, and visual access to patients, patient rooms, activity spaces and entries. Meticulous attention to finishes, furnishings, fixtures and equipment ensure safety and security for all. 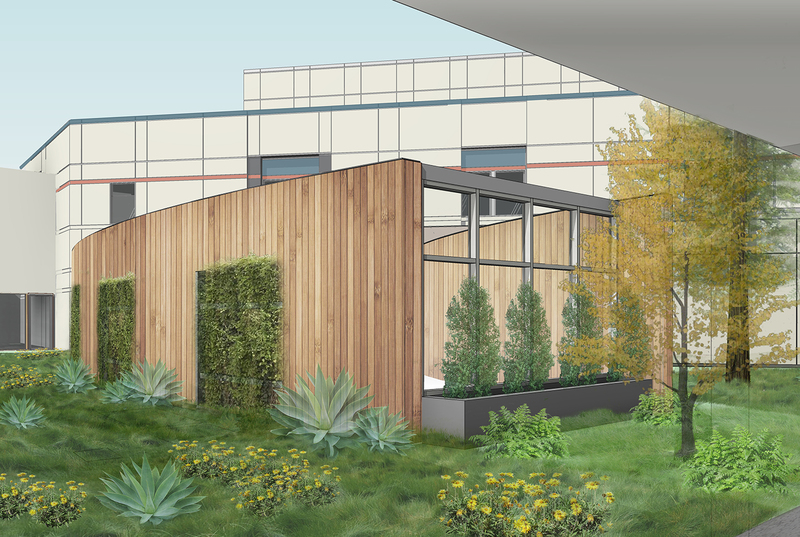 The design team prioritized the crafing of a less finishes, furniture and lighting that create a comfortable, calm and healing environment — a less institutional and more residential atmosphere — inspired by the natural world.